Coming to an iPhone near you? Apple is taking yet another step in their quest to make the iPhone experience a more enjoyable one for their users. The company filed a patent on Thursday that would make it easier to use the iPhone one-handed, no matter which hand you’re holding it in. By utilizing sensor data, the iPhone would be able to assess which hand is in use and attempt to either move or reorient icons. 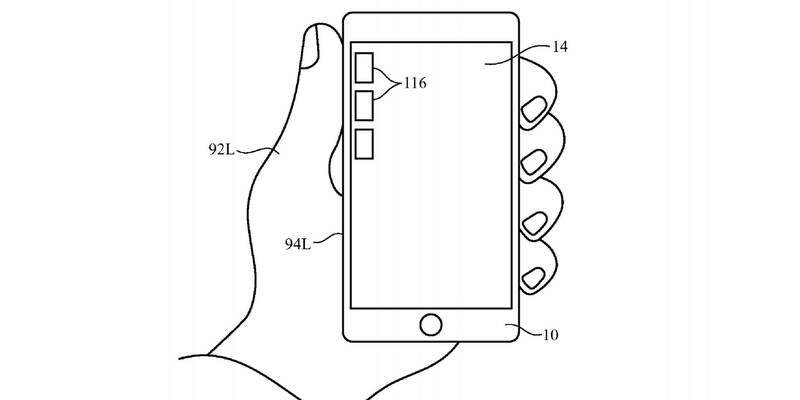 Even thumbprint orientation is considered in this patent, making it easier and more comfortable for left-handed iPhone users as well as those with smaller hands—this writer included. And, unlike a patent filed a few weeks prior to craft an iPhone with screens on both sides, users may not need a new device to enjoy the benefits of a UI that works with their hands rather than against them. With Patent No. 20160179338, the ability to better use your iPhone one-handed could be coming to an iOS near you. It’s unclear when and if Apple will be rolling out such a technology for iPhone. The filing of patents doesn’t necessarily guarantee that the idea will come to fruition, though judging by initial reaction from Apple fans, iPhone users would certainly welcome the change.